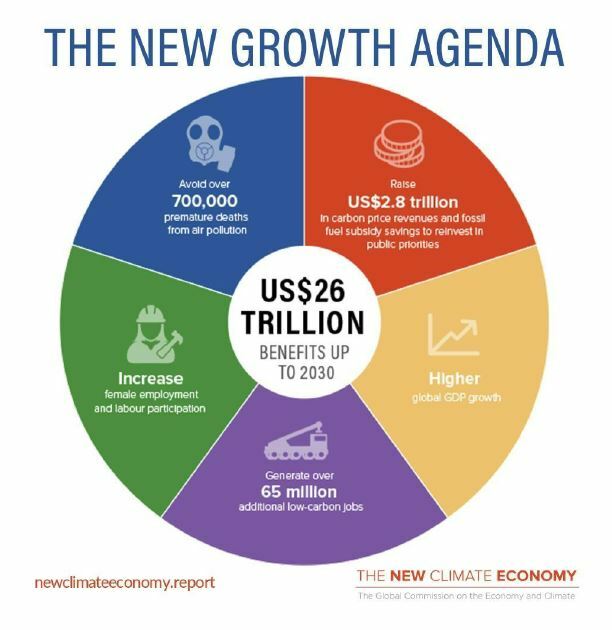 A major new report published today by the World Resources Institute’s Global Commission on the Economy and Climate finds that bold action on climate change could deliver US$26 trillion in economic benefits to 2030 compared with business-as-usual. The report, based on macroeconomic analysis by Cambridge Econometrics, will be submitted today to the UN Secretary General Antonio Guterres in New York. It suggests that by 2030, unless we make a decisive shift, we will pass the point by which we can keep the global average temperature rise to well below 2°C, unleashing the potential for runaway climate change with enormous economic costs. “The results from the model in this report show that it is possible to reduce greenhouse gas emissions substantially, while simultaneously boosting growth and prosperity. The challenge for national policy makers is to identify and implement the policies that are most beneficial to their country. However, investors also have a role to play. Informed investor decision-making and transparency on climate-related risks is essential to promoting a smooth market transition to a low-carbon economy. Click here to read the full report on the New Climate Economy website.